Incorrectly taken UK passport photos have become the main reason for UK passport applications being rejected. We take the time to ensure that your passport and visa photos are correctly sized and meet all the required specifications. As a result our UK passport photos will never be the reason for your passport application being rejected. 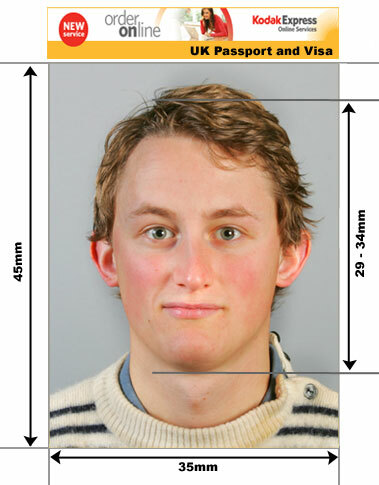 An outline of UK Passport and Visa Photo Requirements. Because of the difficulties in photographing children under the age of 5 for UK passport photos the regulations are slightly more relaxed as per the guidelines below. Below is an outline of UK Visa Photo Requirements. 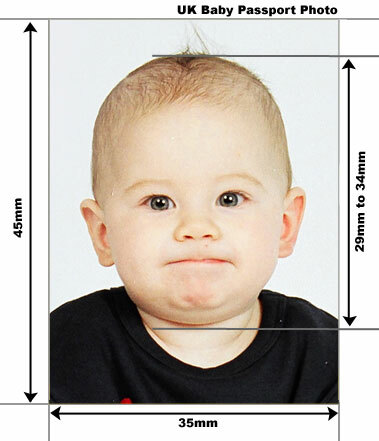 The passport photos regulations for children over six are the same for adults with the exception that the head size can be between 21mm and 34mm.